If you ask most 35+ year olds what they wished they had done differently for their skin when they were younger, chances are you’ll get an earful. When young, many of us enjoy skin that looks relatively fresh regardless of our habits and tend to favor convenience over our future appearance. But the truth is, you will be 40-ish sooner than you know it—and just because you can get away with a #nomakeup selfie now doesn’t mean that you don’t have to take care of your skin. Below, Dr. Duplechain and his talented team of skin health experts have rounded up their best advice for treating your skin right in your 20s. You may still be waiting to “outgrow” acne, but the truth is, upwards of 55% of people still battle acne well into adulthood. Finding the right treatment solution for your skin and type of acne now can help you avoid future flare ups, limit acne scars, and support your overall skin health. We’re all guilty of looking in a magnifying mirror and ruthlessly squeezing and picking any pesky pimples or blackheads that have popped up. While it may provide some temporary relief and seems like a relatively low-risk habit, it could lead to problems in the future. 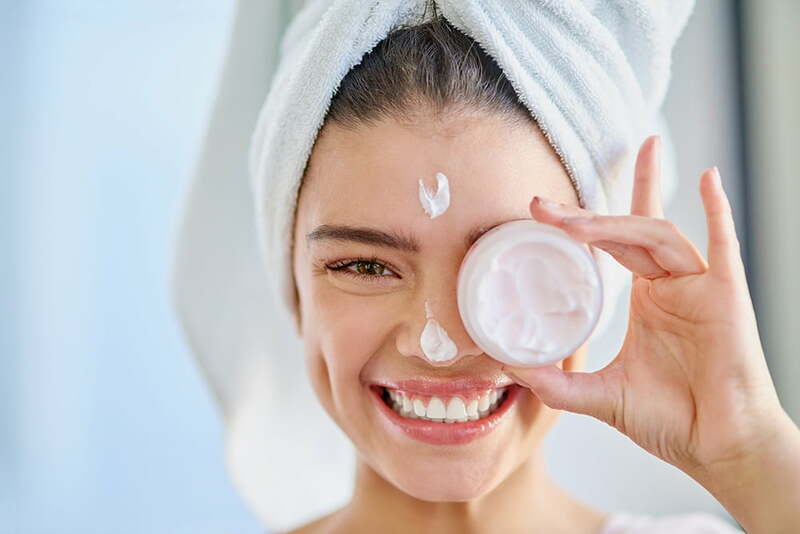 Unfortunately, drugstore cleansers and spot treatments often don’t cut it—and relying on OTC acne-fighting products can even lead to further problems, including excessive dryness and more inflammation. Physician-only skincare products will additionally support your skin, helping to protect and clarify with concentrated ingredients you can’t get outside a doctor’s office. To get started on all of the above, skip the medspa and instead head to a medical practice that specializes in aesthetics and is headed by a board certified cosmetic surgeon or dermatologist. Then make sure they take the time to truly listen to you, carefully examine your skin, and personalize your treatment plan. At our office, we start with an in-depth skin evaluation and consultation. We then customize a treatment plan, choosing state-of-the-art technologies to help clarify your skin. We will also prescribe topical products specific to your concerns from a number of award-winning product lines we carry. As you are undergoing acne treatment, it’s also worth taking a look at the foods you eat and how they may be exacerbating the issue. Refined sugars and dairy products are known to impact acne inflammation, so cutting down on certain treats may make a large difference in your skin. Prioritize sleep. Life gets busy, and fitting work, home, and social obligations in can seriously cut in to your recommended 7+ hours of sleep—not to mention Netflix. But the health impact of routinely skipping out on sleep can be far-reaching, and you may find yourself suffering in multiple areas of your life if your sleep debt starts piling up. When it comes to skin, lack of sleep can leave you looking dull, exacerbate breakouts, and dry you out. Stay hydrated. Look, we all know that drinking enough water is essential to our health and wellbeing, but most of us slack off. In addition to helping improve your sleep, keeping you energized, and boosting your metabolism, drinking water helps support skin health by keeping it hydrated and elastic. Whether you purchase a fancy smart water bottle to keep you on track, set reminders on your phone, or simply keep your water bottle nearby at all times, make sure you’re getting the recommended 8-11 cups of water per day. Eat the right foods. “You are what you eat” isn’t so far from the truth when you consider the impact of nutrition on your physical and mental health—and that includes your skin. While everyone reacts differently to various foods (and if you have a known sensitivity, you should follow your doctor’s advice), foods rich in omega-3 fatty acids, vitamins E & C, beta-carotene, and dark chocolate (YES!) have been shown to positively impact the health and appearance of your skin. On the flipside, too much caffeine, dairy, sugar, or highly processed foods can exacerbate breakouts, parch your skin, increase inflammation, and leave you susceptible to early signs of aging. Once you’ve adjusted your day-to-day habits to be skin-friendly, you may also consider getting a little help from a pro to bring out your natural glow. Non-surgical skin treatments are soaring in popularity for their ability to freshen up your look, keep skin healthy, and make your complexion look radiant. There’s no point in dwelling on the past—but keeping a currently unwrinkled eye to the future certainly will help you. The fact is, most of us spend the first 30 years of our lives ignoring the inevitability of aging, but what you do now will impact your appearance as time goes by. Dr. Duplechain and his team of medical aestheticians often recommend the gentle HydraFacial for patients who primarily hope to give their skin a boost without needing to treat severe concerns. This specialty facial system is customized to clear away dirt and oils, exfoliate congested skin, and provide ample nourishment and hydration through skin-loving serums. As an added bonus, our patients love getting to relax while getting pampered (and score a fun #spaday Instagram shot!). There’s no point in dwelling on the past—but keeping a currently unwrinkled eye to the future certainly will help you. The fact is, most of us spend the first 30 years of our lives ignoring the inevitability of aging, but what you do now will impact your appearance as time goes by. We know because we see it all the time in our office, like when two 40-year-olds look ten years apart in age simply because one took better care of her skin. Don’t smoke! This one should go without saying when you think about the body-wide harm smoking can cause. But did you know that smoking can starve your skin of the oxygen it needs to function optimally while hampering blood supply to skin tissues? That means smokers look an average of 1.4 years older than non-smokers. Fine lines and wrinkles, under-eye bags, and a gray, dull appearance to the skin are common side effects of cigarettes. Don’t tan! While picking up a slight golden glow on a quick vacation probably isn’t going to be the end of the world, habitually visiting tanning beds or skipping SPF not only ups your risk of skin cancer, it can also leave your skin with sun damage. It’s estimated that up to 90% of visible signs of aging can be attributed to sun exposure. Hyperpigmentation, fine lines, degrading skin texture, and skin laxity can all be brought on or exacerbated by too much sun. Wear SPF. While we all need a dose of the important vitamin D the sun provides, it’s crucial to protect your skin from overexposure. Make sure you’re wearing a daily sunscreen product on your face, even if you aren’t planning on spending extended periods in the sun. When you are sitting by the pool, hiking, or simply enjoying a gorgeous sunny day outdoors, make sure you’re diligent in reapplying. Use medical-grade skincare. As we touched on above, the products you put on your skin have a huge impact on skin health—and properly taking care of your skin now can help delay signs of aging. Hint: we can help you put together a great group of products that are specially formulated to help support the structures of your skin. Consider conservative anti-aging treatments. Most 22 year olds don’t need quarterly BOTOX injections, but Dr. Duplechain loves seeing patients starting preventative injections when lines begin to take shape. That’s because your current expression lines are a roadmap to future wrinkles—and softening them now can help delay them from deepening over time. Typically, Dr. Duplechain will use a conservative amount of product precisely injected to soften, not freeze, these expression lines on the brow and around the eyes. You’ll thank us for this advice now and later! Dr. Duplechain and his team routinely work with younger patients to help delay the need for more invasive measures in the future—and starting well before signs of aging appear can make a world of difference in both how you age and how much you spend in the future to undo those signs of aging. The first step is a skin evaluation and consultation at our Lafayette cosmetic surgery practice and skincare center. We’ll examine your skin, listen to your primary concerns, and help you get on the right track to enjoying healthy, gorgeous skin for many years to come. Contact us today—we can’t wait to meet you!